C and H Campers contacted me wanting to update their old website. They felt that their previous website was not very user-friendly and didn't present the fantastic camper vans that they built well. They also wanted to incorporate a new booking system to reduce the amount of admin that they had to do on their side and allow customers to book services and pay online. The website is not quite finished yet as we are waiting on the appropriate photography to come through but as we continually work with our customers this is something that can be incorporated down the line. A great looking website that is fun and shows off their past examples. 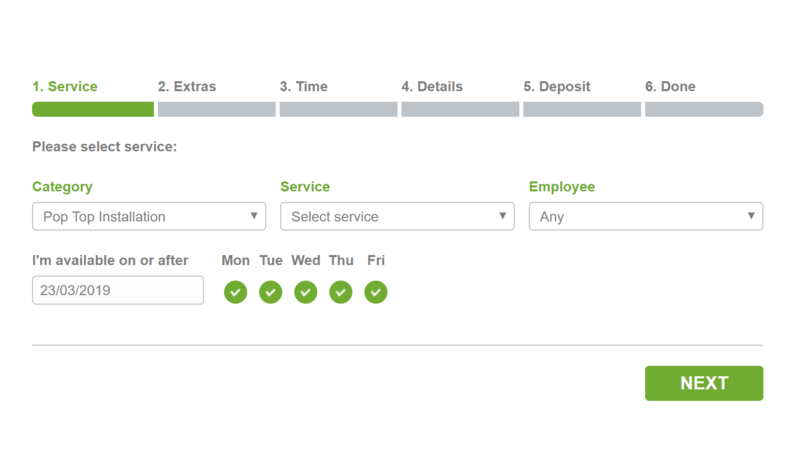 A fully functioning booking system that allows them to take deposits without manually having to be involved. Automatic emails are sent out confirming bookings, payments and also to remind customers of their upcoming appointment. Integrated Instagram widget allowing C and H Campers to easily show any visitor to their website new projects that they are working on. All in All another happy customer.